Here is our collection of stationery from around the world, including traditional paper crafts like Lokta from Nepal as well as unique pencil cases created using traditional fabric weaves. 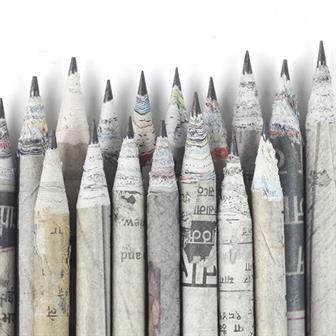 We also sell very special recycled newspaper pencils made by the Nepalese charity Women's Dreams. These lovely stationery packs contain a selection of Nepalese Fair Trade items that are great for using at school, work or journal keeping! 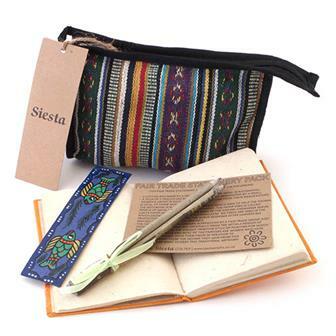 Each gheri material bag contains, a lokta paper notebook, a set of three recycled pencils and a colourful bookmark. Includes printed label and insert. These recycled pencils are made by the NGO Women's Dreams, who aim to improve the economic and educational situation of women in Nepal. They are cleverly made from old newspaper compressed and wrapped incredibly tightly around a lead. These handy little notebooks are the perfect pocket-sized pad for jotting down shopping lists, jobs to do and things to remember. Handmade in India by a small cottage industry, the faux leather cover is actually made from recycled cotton left over from large scale garment manufacture. 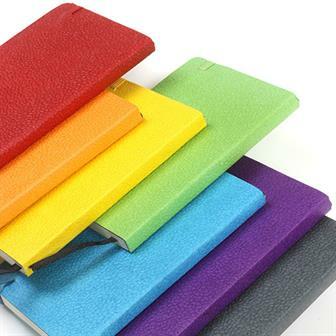 These colourful and handy notebooks are great for sketching, writing and doodling. Handmade in India by a small cottage industry, the faux leather cover is actually made from recycled cotton left over from large scale garment manufacture. These handy little notebooks are the perfect pocket-sized pad for jotting down shopping lists, jobs to do and things to remember. 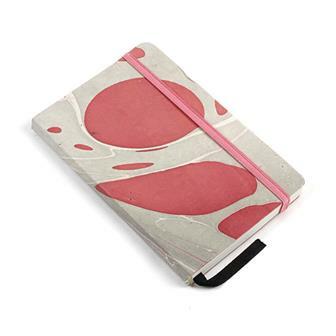 Handmade in India by a small cottage industry, the marbled, swirly cover is actually made from recycled cotton left over from large scale garment manufacture. Want to discover your inner reporter? 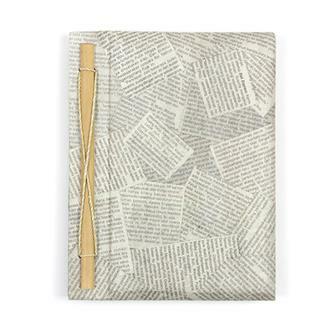 Jot down your big scoop in one of these recycled newspaper bound notebooks! Alternatively, they make great diaries, scrapbooks or journals. Bound using twine and bamboo and handmade in Bali, Indonesia. Want to discover your inner reporter? 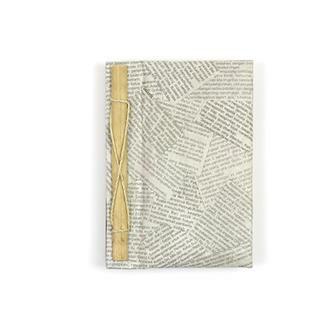 Jot down your big scoop in one of these recycled newspaper bound notebooks! Alternatively, they make great diaries, scrapbooks or journals. Bound using twine and bamboo and handmade in Bali, Indonesia. A perfect partner for our Nepalese recycled newspaper pencils! These lovely little notebooks have a little extra tropical element to them. Using a special pulping process, their covers are made from pineapple fibre! 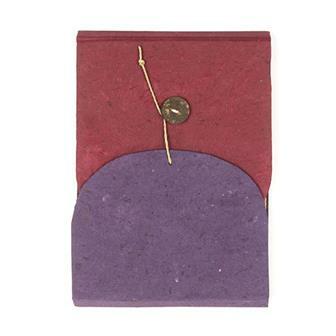 Handmade in Bali, Indonesia, each notebook has a twine and coconut fastening system and has pleasing textured paper. 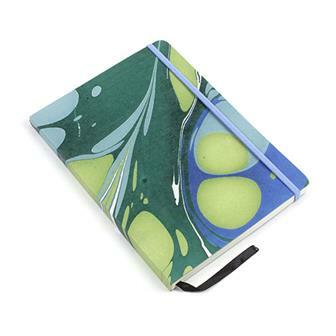 These lovely notebook journals have a little extra tropical element to them. Using a special pulping process, their covers are made from pineapple fibre! 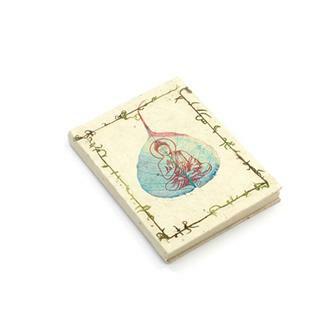 Handmade in Bali, Indonesia, each notebook has a twine and coconut fastening system and has pleasing textured paper. 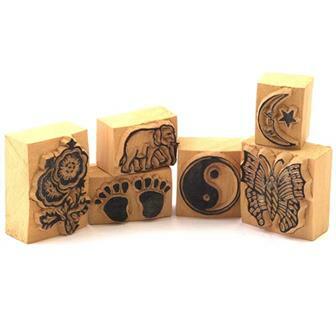 These fantastic little block prints are a brilliantly fun art tool. 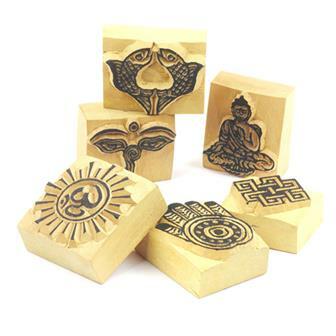 They make excellent teaching tools with their imprints of various parts of Nepalese and Tibetan Buddhist iconography. 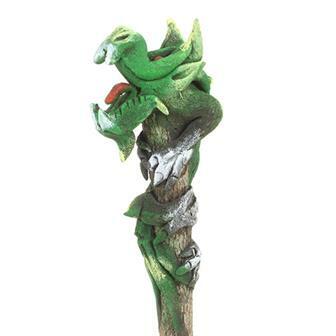 Made from an ingenious mix of sawdust and latex, these little dragons are mounted on a rustic 'log' pencil. Shaped and painted by hand in Northern Thailand. These wonderful lokta paper bookmarks are carefully hand painted in Madhyapur Thimi, just outside Kathmandu, Nepal. 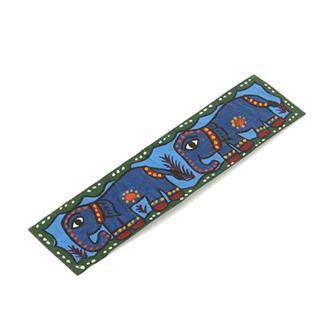 Each bookmark is made from thin card and is decorated in the traditional brightly coloured painting style from Mithila region. Read more about these fascinating pieces and their creators here. These beautifully coloured and decorated greetings cards are made from Lokta paper. There are three styles of card set available: a colourful depiction of the eyes of Buddha, often seen on Nepalese stupas, or a gorgeously golden picture of either Buddha or Ganesh. Eight cards in each set. Includes a Lokta paper info page. 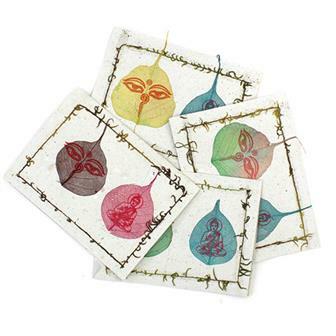 Pack of eight beautifully made blank greetings cards featuring an elegant Bodhi leaf design on Himalayn Lokta paper. Lokta paper making is a traditional practice from the high altitude Himalayan forests of Nepal. The Lokta bush is a fast growing shrub and the paper making process helps to provide economic stability for some of Nepal's poorer rural people. 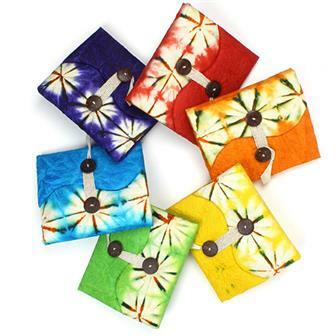 These beautifully coloured and decorated note books are made from Lokta paper. The paper has a wonderfully tactile nature, is very durable and has a natural off white colour. Each of these books features a decorated stamp design on the brightly coloured front cover. Beautiful and bright little booklet made from traditional Lokta paper. 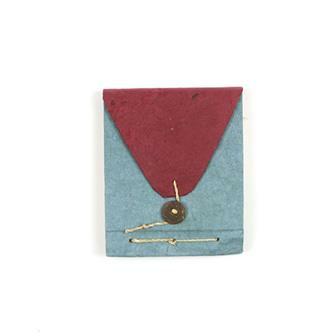 Book features average of 36 natural blank (cream coloured) Lokta pages with a vivid tie due cover with an interesting a string and button fastening system. 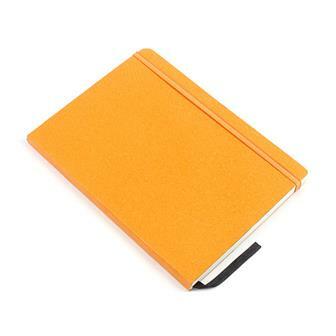 Small enough to carry around everywhere you might need it but big enough to write everything you might need to in! 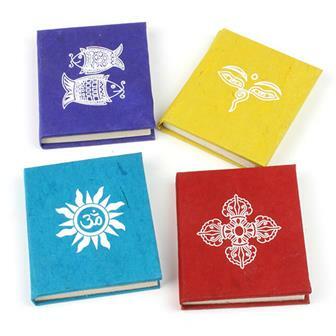 These beautiful note books are made from Lokta paper and are decorated with a bodhi leaf and line drawing of Buddha. Lokta paper making is a traditional practice from the high altitude Himalayan forests of Nepal. 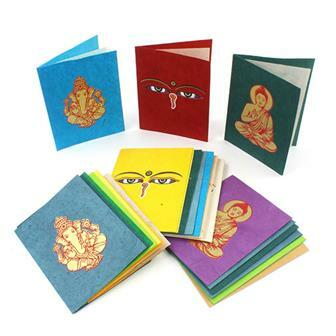 Decorated using off cuts of other lokta paper products, these brilliant note books are handmade in Nepal and make excellent little gifts. Lokta paper making is a traditional practice from the high altitude Himalayan forests of Nepal.